We are proud to introduce Wiise as part of our Business Solutions! 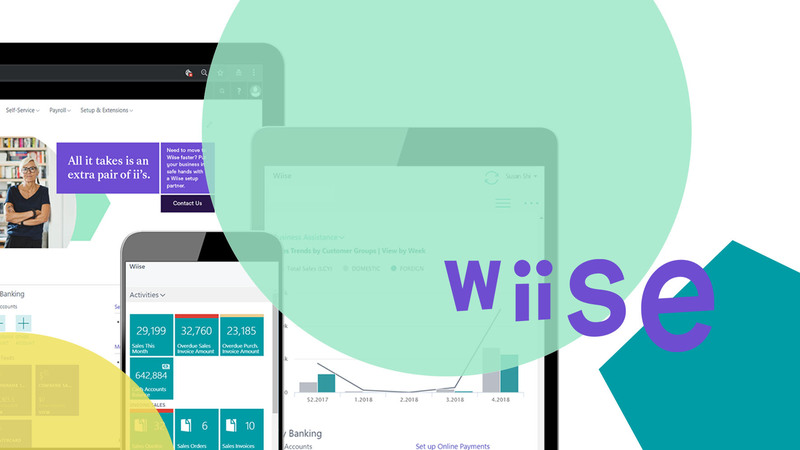 Wiise is a brand new and affordable cloud-based business management solution that combines the multiple systems used in businesses and tying them together into one smart solution. From finance to forecasting, inventory to invoicing, Wiise helps businesses get a clearer picture of everything that’s happening at every level. Wiise is built on the global Microsoft Business Central platform, where login, email responds and quoting and invoicing can happen straight from Outlook. With a survey of over a 1,000 Australian businesses, Wiise has developed key parts missing from the Business Central global platform that your customers will want and need. Wiise helps you manage your customers, sales, projects and jobs end-to-end to help you get a clearer picture of your business at every level. Compare your budgeted projects with your actuals so you can paint a clearer picture of just how profitable and on time your projects really are. See the inner workings of your projects clearly so you can quote the right amount every time. Connect to your Microsoft 365 Office suite so its business as usual! Wiise is more than an online accounting software. With customisable solutions to unlock, it will grow with you.